I bought some setting material from Mitch several months ago. I will be installing the glass in the frame for my 29 phaeton soon. I am wondering if I should use any liquid, like something slick, to help the setting material/glass go into the frame. Maybe the glass/setting material will go into the frame OK with nothing, but I am not sure. I have never installed windshield glass in an open car frame. 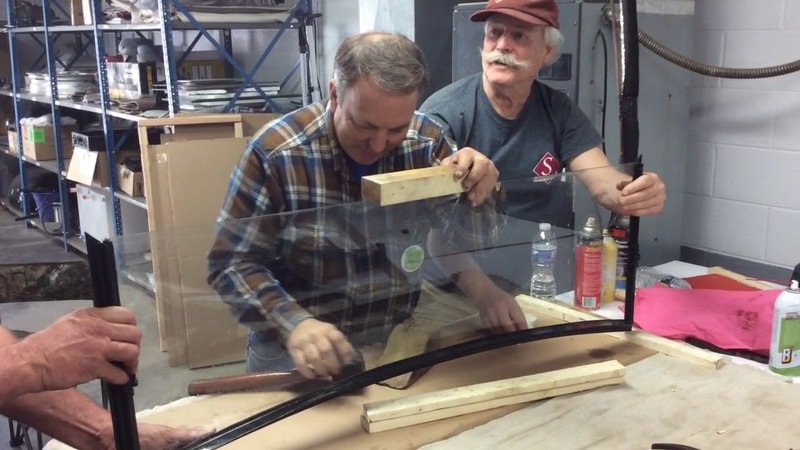 I installed glass on a closed car a few years ago and used bar clamps and padding to force the glass into the frame, but open car windshield frames are much different. Any help from someone that has done it before or knows a good way to install the glass would be appreciated. Ah.....Mitch and Tom.... that was a great time. Toms skilled helping hands and everyone else’s help as well and my crazy pounding we got it done! What a a great time ! I said at the time to buy two windshields but alas only one was needed. Good thing as we only had one that day! Nothing like working with a pack of jokers, talk about a little rascals moment. So!! That's Tom, I thought you were younger!!!!!!!!!!!!! Larry, when you install Sarah new windshield this winter, remember, RUBBER MALLET, not the steel one!!!! Last edited by Apple Green Wheels Rule; 08-06-2018, 03:38 AM. I am younger...........I'm the same age as Jack Benny, 39. So!! That's Tom, I thought he would be better looking!!!!!!!!!!!!! Definitely not as good looking like I am!!!! In fact, to be fair to Tom, I don't see anyone in that video as good looking as I am. I watched the videos and think Larry needed a Big Hammer, wish I could have been there! I'm told that any glass shop that can handle safety glass (Which is just about all of them) can seat and bed your windshield. Make sure you get one with a "Bug" etched on the window, insuring that it's safety glass. 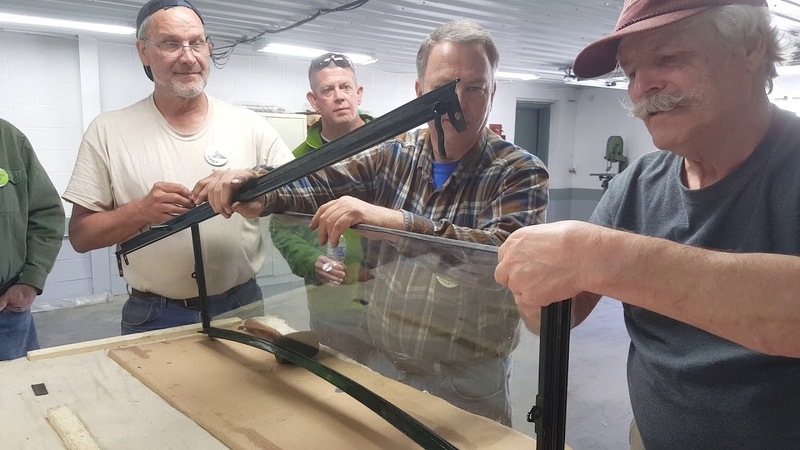 Safety glass is two layers with a plastic sheet in between and the whole thing is laminated or "sandwiched" together. I like to take them apart and thoroughly clean the slot and paint it before giving them to the Glassman. Check around and see if there's any old timers who have patterns. Me, I hate working with glass so it's easier for me to let him install it too. He cut's it, and beds it and gives you a finished windshield for one money. Mine was $150. I have heard of cheaper prices, but when the Mod. A vendors are getting $199 +ship. And that price doesn't include installation, the $150 sounds pretty good. Good luck!